Qantas Freight will operate a 767-300F on trans Tasman services. 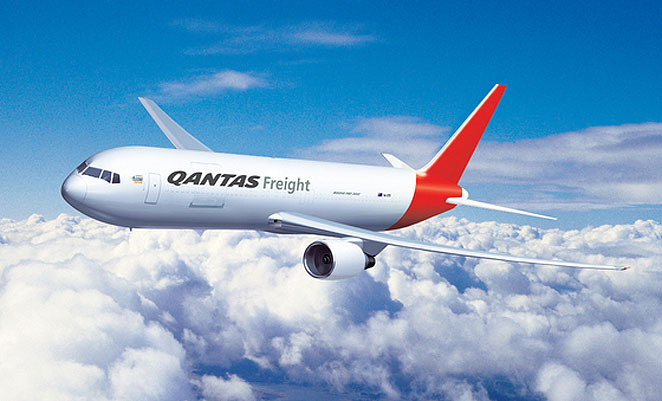 Qantas has announced it will lease a Boeing 767-300F freighter for services on the Tasman, increasing its capacity by 40 per cent over current services which are operated by a wet leased ATI 767-200F. The new aircraft, which will also be the first to feature a new Qantas Freight-specific livery, is being added to cater for increasing demand on the Tasman. The new aircraft will be operated for Qantas by subsidiary Express Freighters Australia (EFA), which also operates four 737-300Fs on behalf of Australian air Express, and is due to enter service in February 2011.